For a limited-time only every episode of The Wish Fish Family thus far is available on one DVD disc for only one dollar (including $2.95 shipping if ordered online). The DVD is 126 minutes and thirteen episodes long. It comes in a white sleeve with an exclusive DVD label. I am making no money off of this deal – I am seriously losing money. But I want the fans to have this DVD at a low price. To order please fill out this contact form and I will give you my Paypal account username. “Ostrich, Hippo & Jesus on Grass: Tha Moovy” is now available online in high quality for the first time ever. Go watch it now! 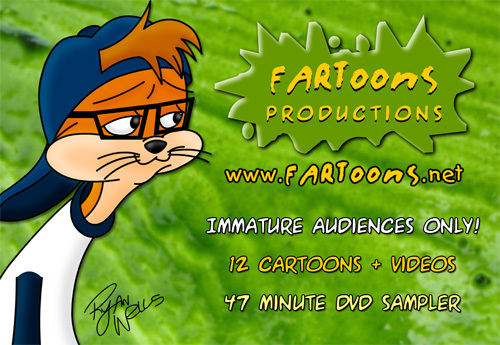 To celebrate twelve years of FARToons Productions I will be giving away twelve FREE DVD Samplers at Vintage Vinyl in the St. Louis Loop. 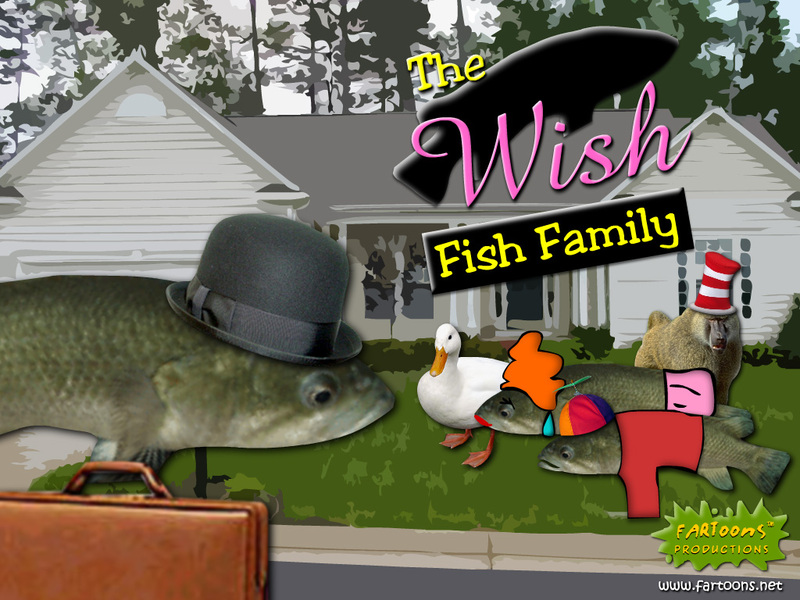 Each DVD is forty-seven minutes long and includes such classics as Merely Meerkats, Harry & Terry, The Wish Fish Family and more! They are gonna go fast because people like to throw away free stuff! So hang around The Loop Friday afternoon and come say “hi”.